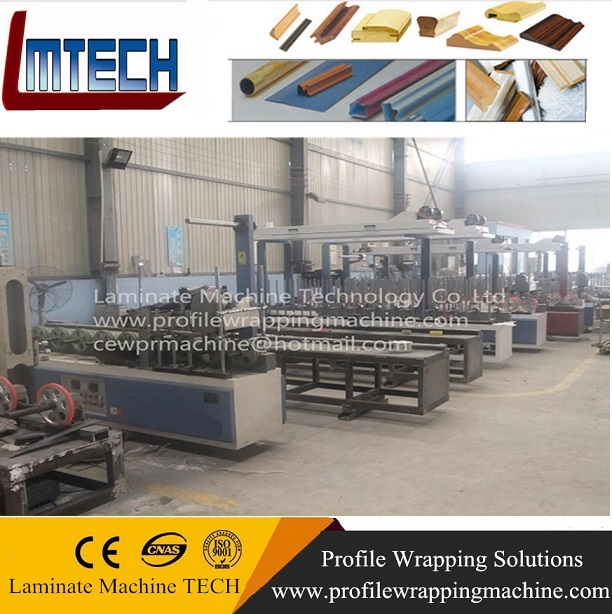 Works by using different angles veneer roller coated on the workpiece to suppress,in the process,the process pressure rate and pressure can be adjusted according to different coating material. 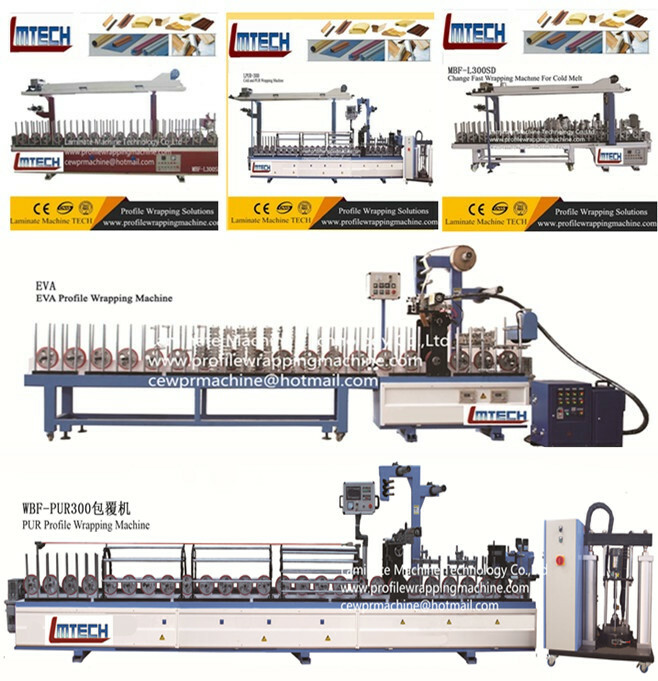 A full set of manufacturing processes can be full automatic assembly line,the normal working can be done without human intervention,it just need to feed material from adhesive coating to expectthe sending until the product be finished.which reduce labor costs and ensure the passing rate of processed products and processing efficiency. This machine adopts easy & simple gluing system .Two types of glue .which are water solvent or oil sovent .can be chosed to paste PVC,melamine film on various of surface . 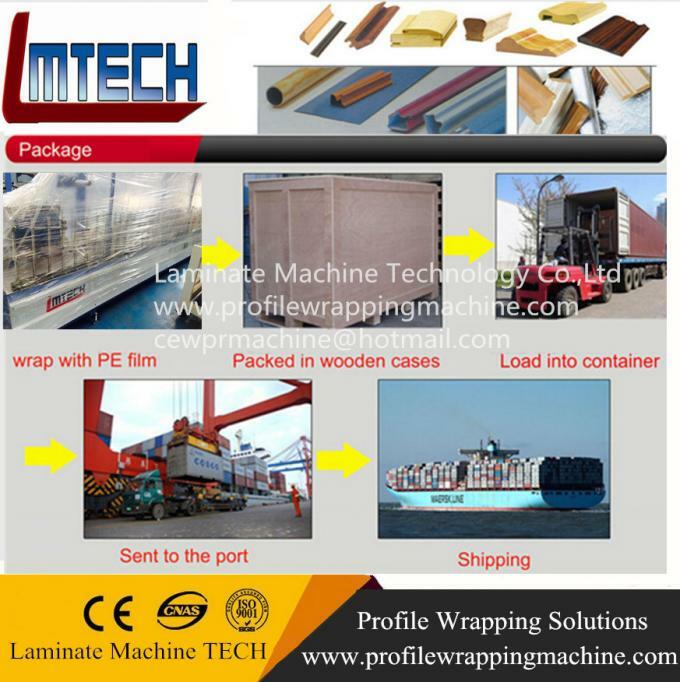 The Features of profile wrapping machinery . 2.The bottom wheels are all made by silicon rubber and aluminum. They are wearable and not sticky to the glue. And it can be used long. 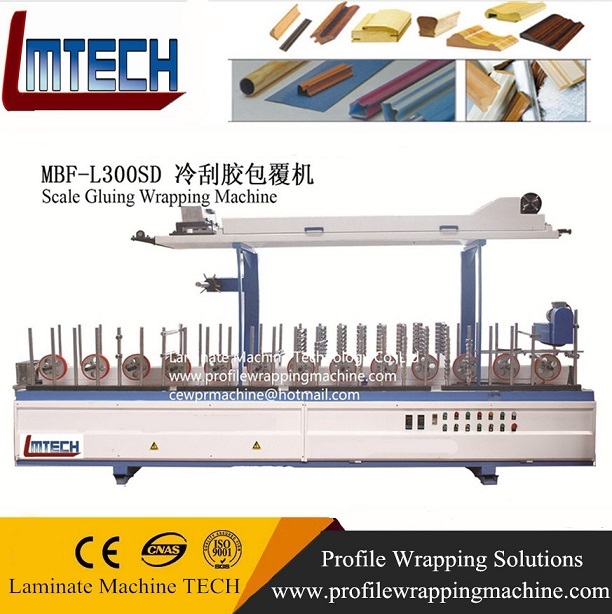 3.The glue plate can be moved upward or downward according to the height of the work piece so that the wrapping can go smoothly. 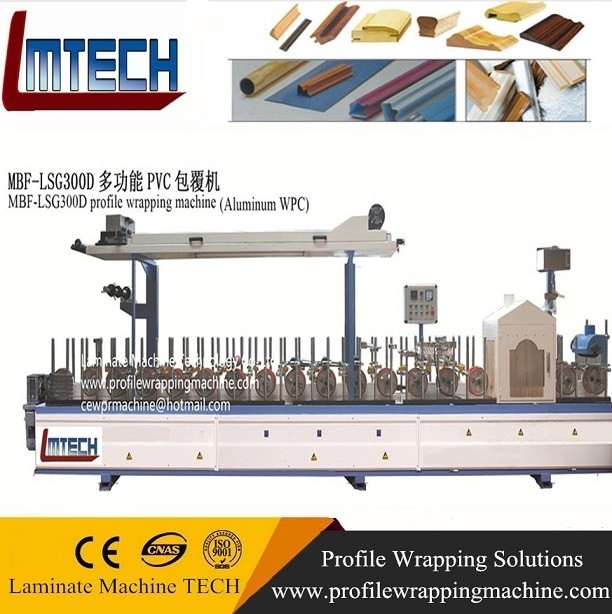 mainly to do produce for the decoration Materials, aluminum material surface with PVC wrapping, with scraping glue system to keep the glue spreading uniform, it is suitable for different complicate shape, as angle parts, around ARC, roughness, extruding shape, so as to get a excellent surface. 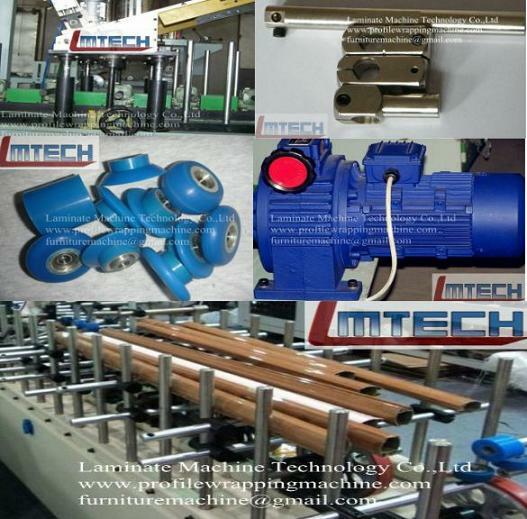 6.Our engineer can do help and teach customer to test the machine in your factory . 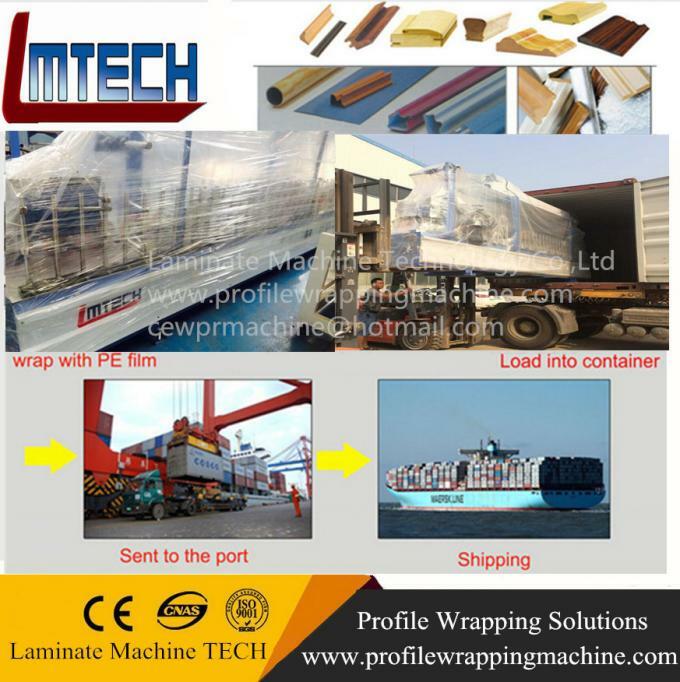 for you before shipping . 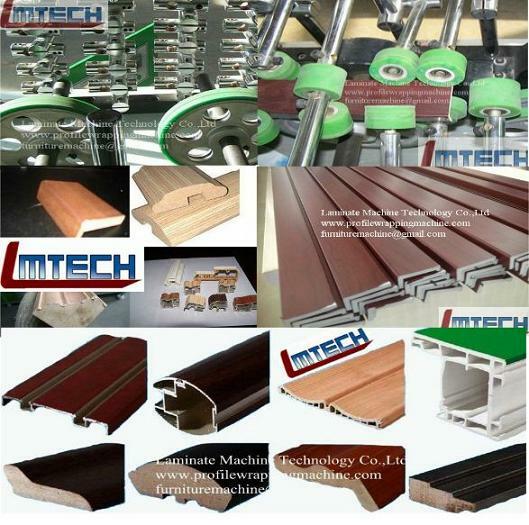 3.Technical warranty :if you need our engineer to help you install and train in your workshop .we will do as your reqeust . 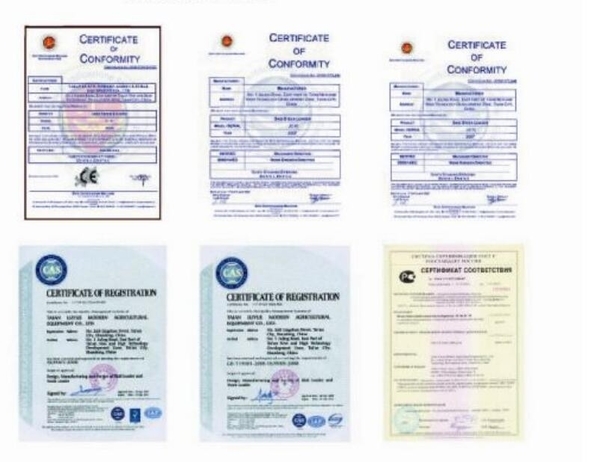 4.The quality warranty : Two Years warranty . We do supply a whole life after service maintenance and tech support .you can call us any time . 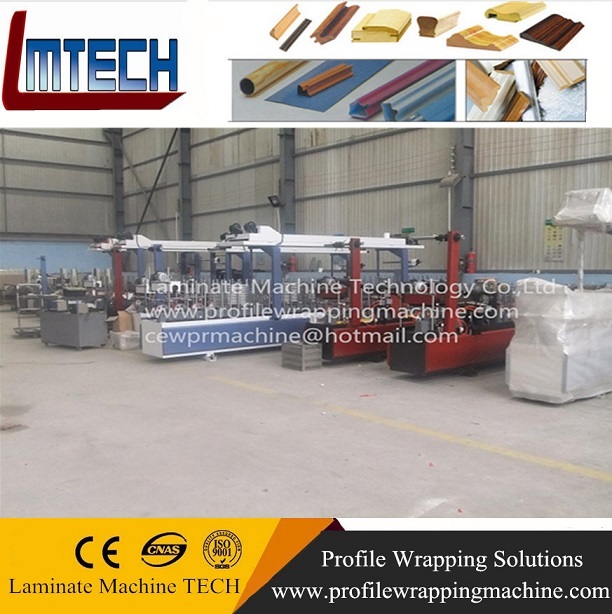 Further information on Profile wrapping machine video and profile wrapping price ,please feel free to contact us .